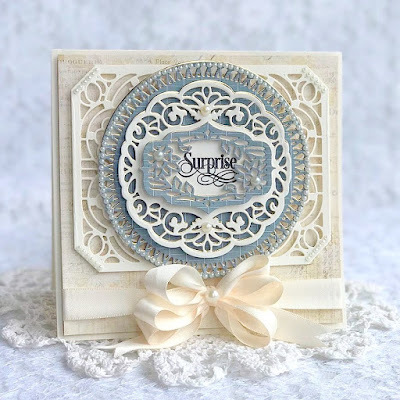 The APG April Die of the Month is absolutely stunning!! 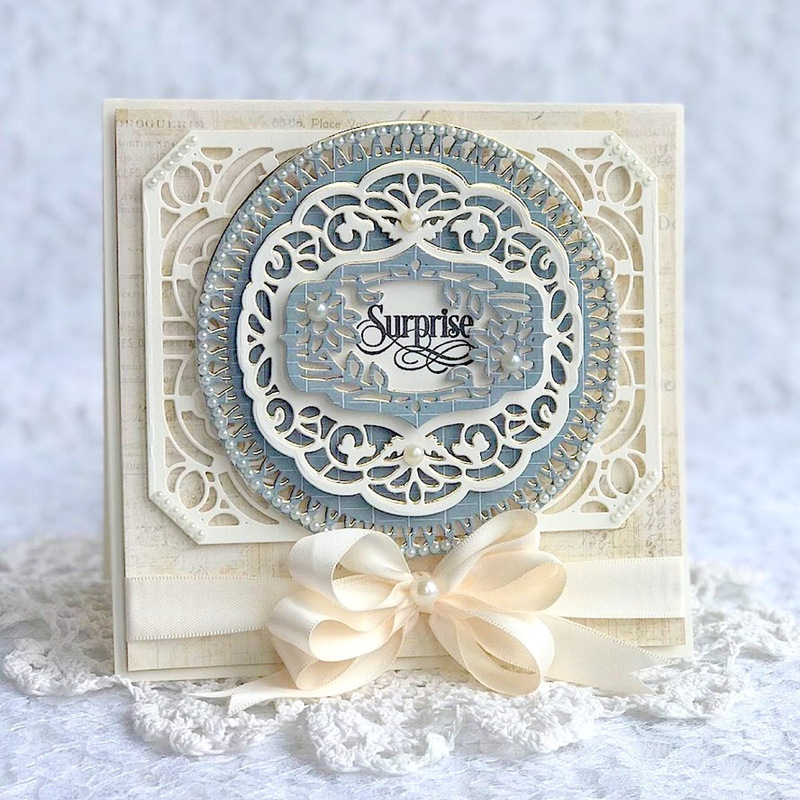 This set has like a zillion different possibilities! 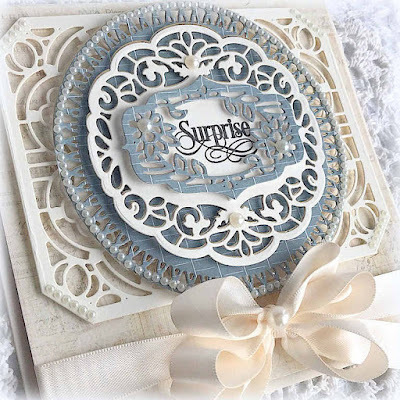 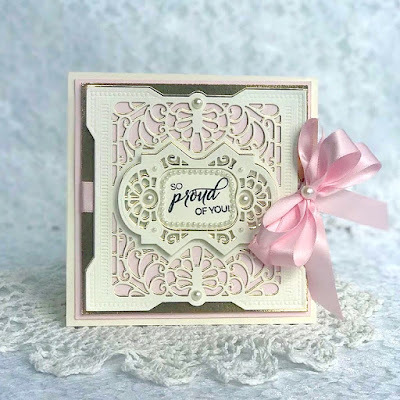 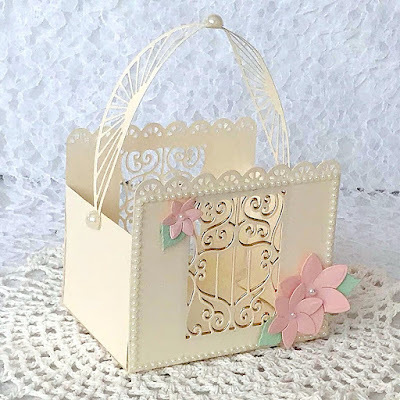 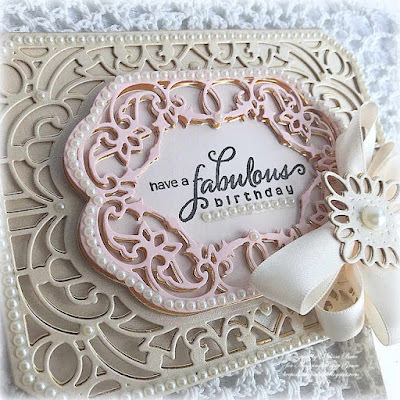 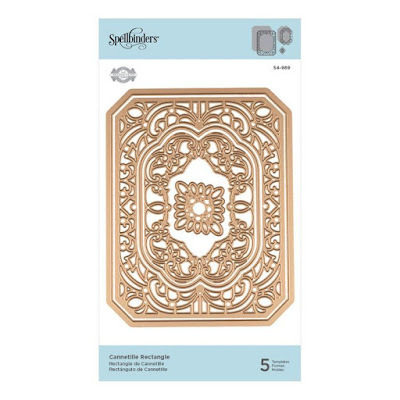 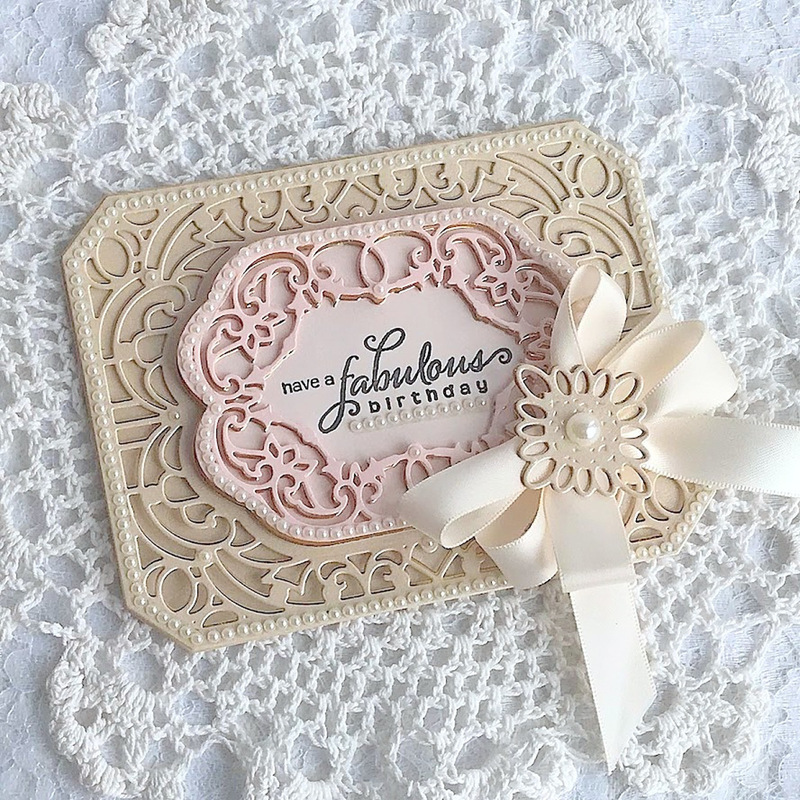 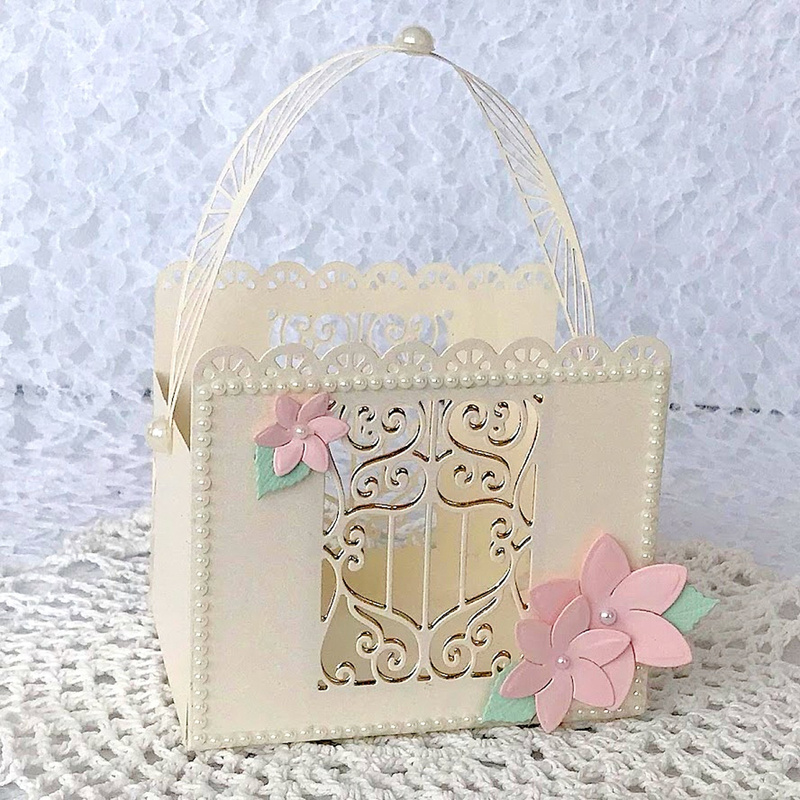 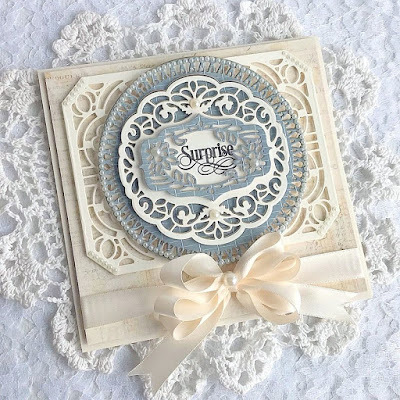 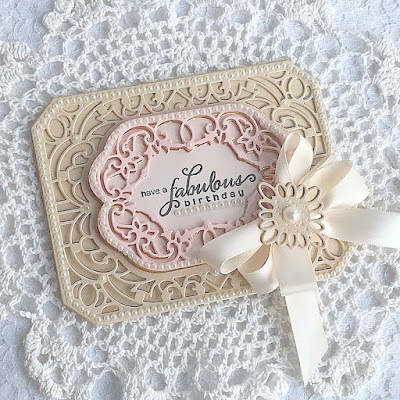 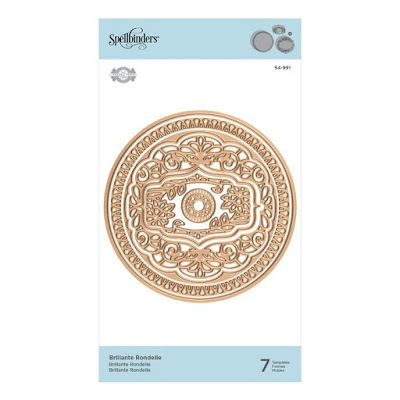 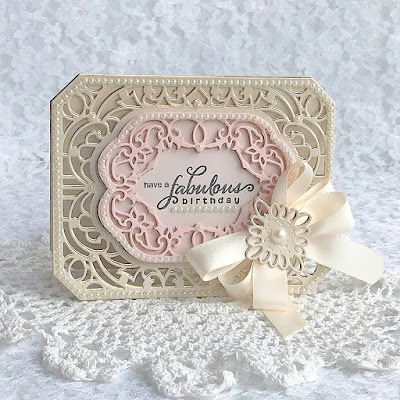 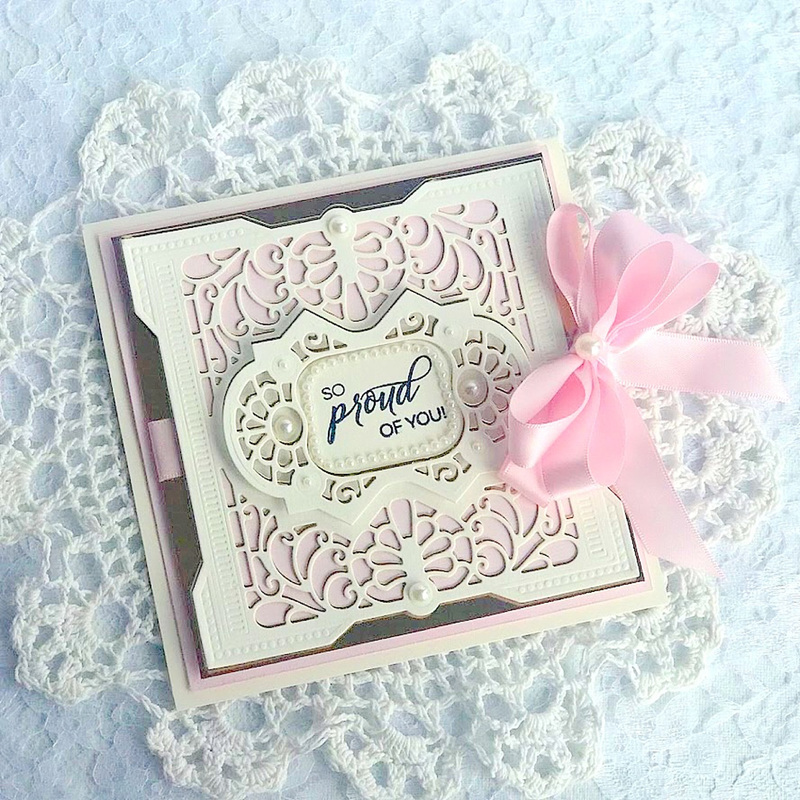 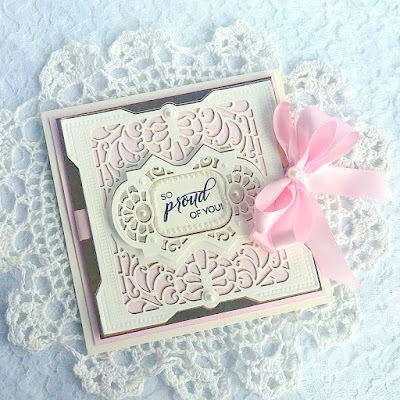 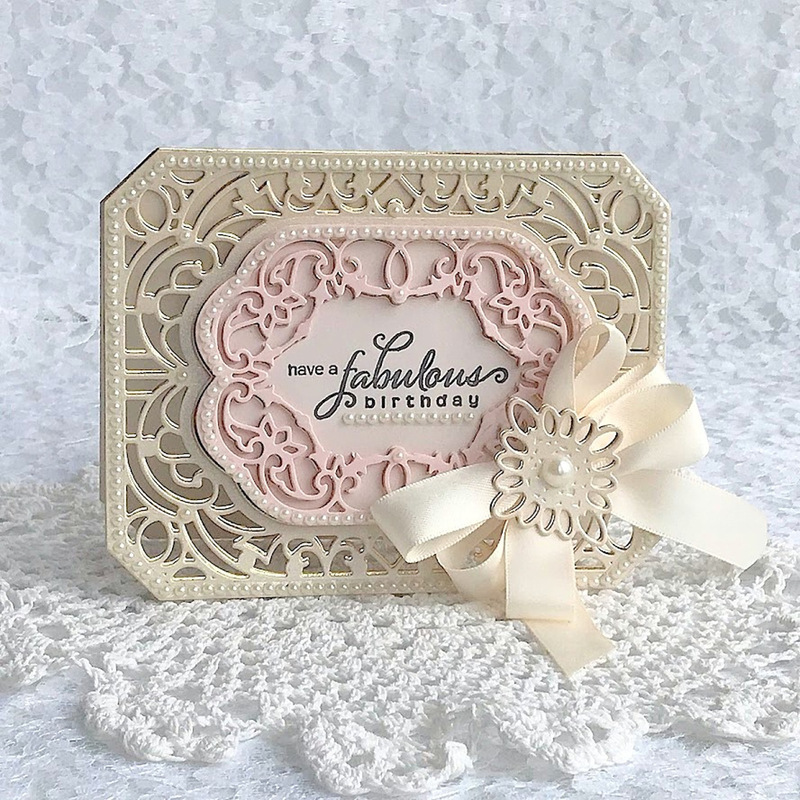 You can use it to make a fabulous Swivel card, use the dies as a base for a standard type card, make baskets, use for placecard settings, decorate a gift bag or present, etc! 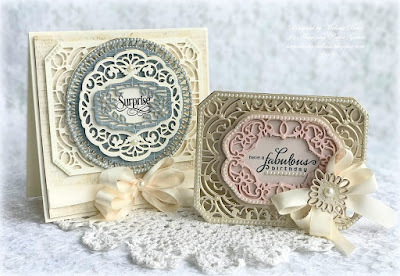 So much you can make with just this one set! If you want to find out more about the Club - prices, how you sign up and what's included, please look --------> HERE. 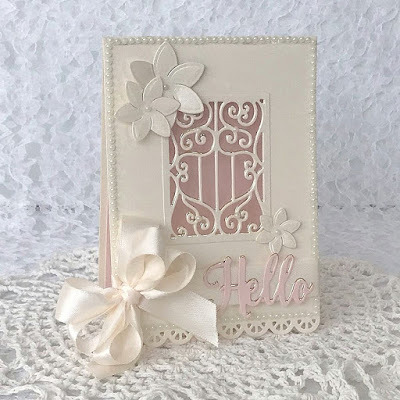 If you missed the introduction and want to know more about what inspired the Die of the Month Club, look ------->HERE. I made this sweet card with a cut out window in the center. Everything you see here is in this set. 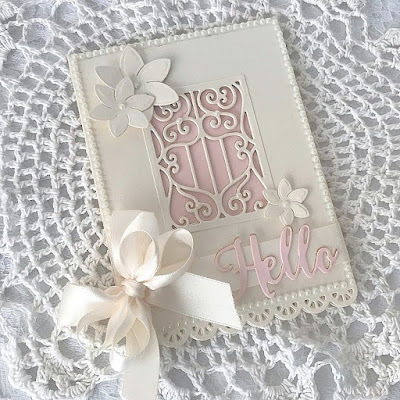 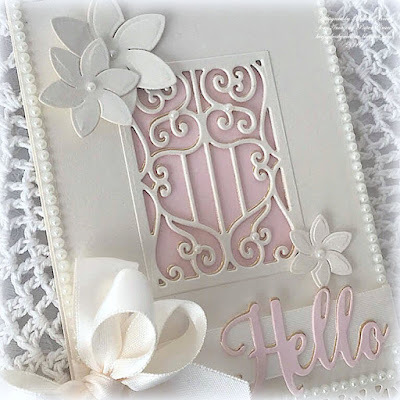 From the base of the card, to the "window" Die and the Hello and flowers! And more!! 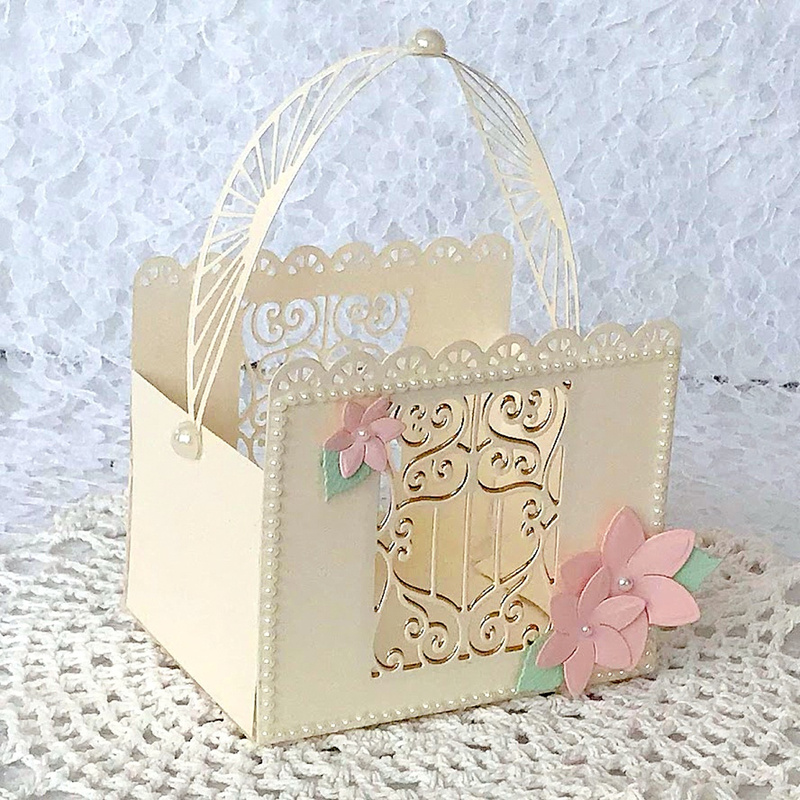 I made this cute little basket. 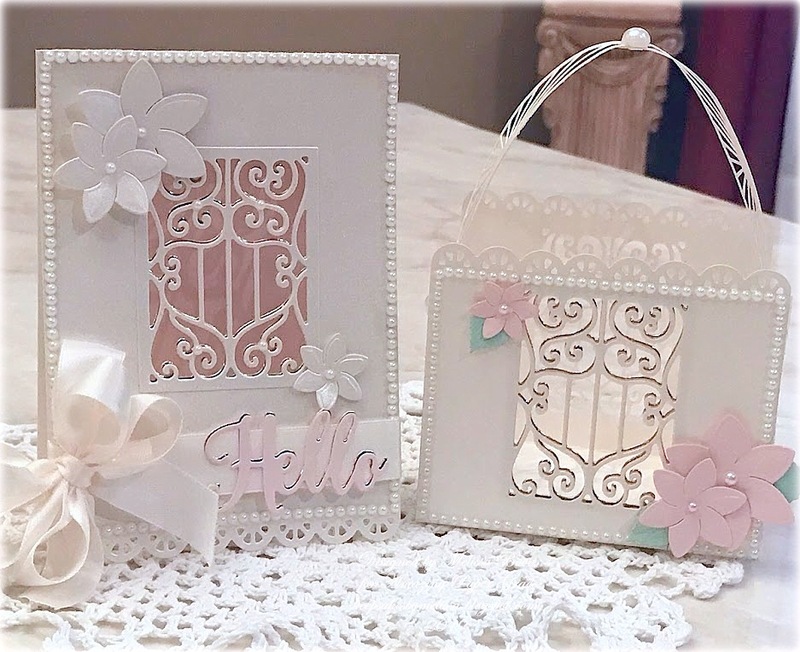 These would be perfect for a Wedding or Shower Favor Holder. This literally took me like 5 minutes to form the basket. 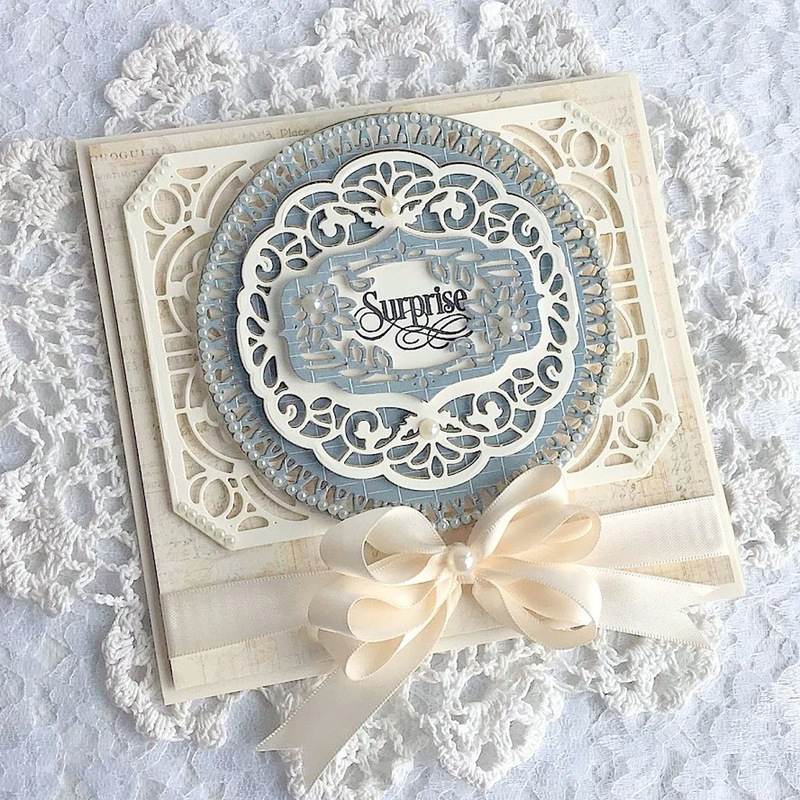 Love when you can make something quick but yet it looks like you spent forever making it!